A virtual reality prank that goes terrifyingly wrong; a desperate father who will go to any lengths to stop his estranged wife from getting custody of their daughter; a brutal TV reality show that destroys one life too many. All these eight stories of the extraordinary, never before published, reflect the dangers and horrors implicit in the way we live our lives today, the dark side of 21st century life. All contain subtle twists in the tail, guaranteed to have you on the edge of your chair. 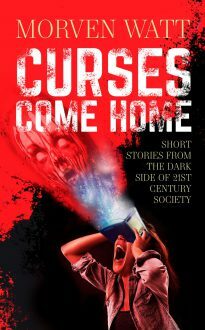 Curses Come Home is a collection of finely-crafted tales in the best literary tradition.